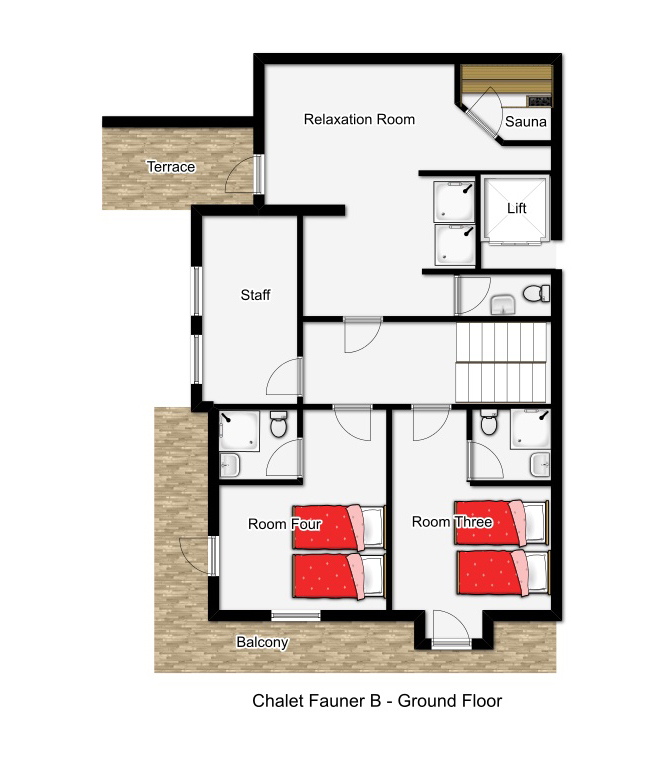 Our view: Offering easy access to resort centre and lifts, this lovely spacious chalet is fully ensuite and complete with a sauna. 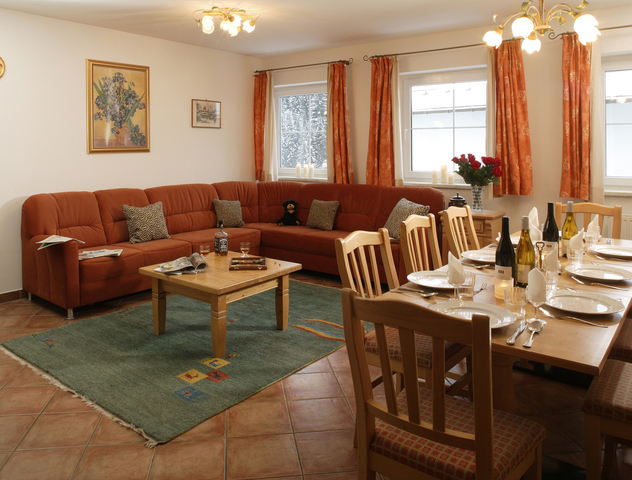 Fauner B is modern, well furnished and extremely spacious chalet for just 8 guests. 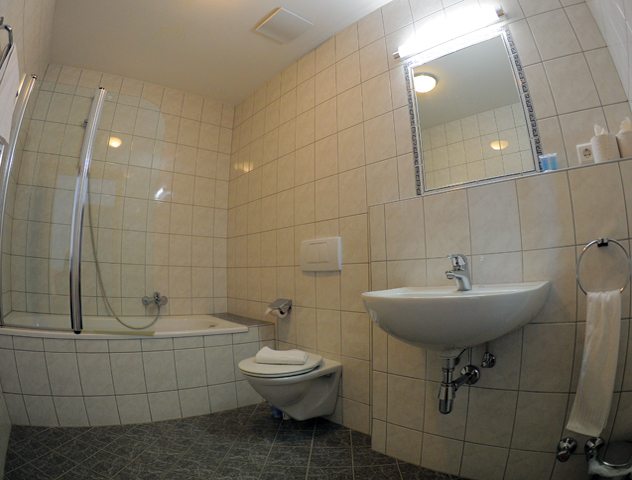 The bedrooms are large and roomy, all ensuite and all with views towards Rendl opposite. 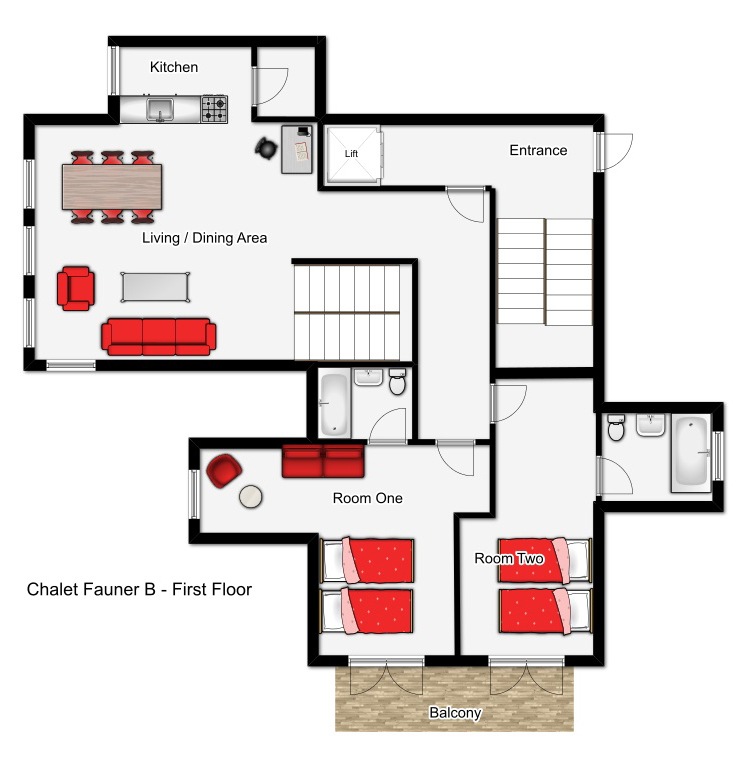 There is a comfortable open plan living and dining room and the chalet also benefits from a sauna with power showers, perfect after a hard day on the slopes. 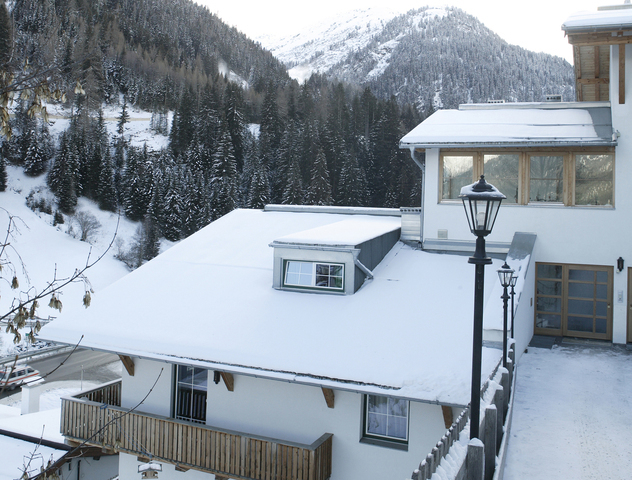 Chalet Fauner is set into the hillside with views overlooking Rendl, it is an excellent location just 4 minutes walk downhill to the resort centre and the lifts yet in peaceful surroundings. All reductions/supplements are approximate only.